Sony has released a brace of new gaming headsets, the DR-GA500 and DR-GA200, with the electronics giant suggesting that the latest peripherals are the 'ultimate weapon for FPS gaming'. Sony's DRGA500 offers 7.1 Dolby surround sound and has 40mm drive units for 'premium gaming sound quality'. The lower specced DR-GA200 also boats 40mm drive units but not the Dolby surround, with both headsets offering 'triple enfolding' design that Sony believes offers unrivalled comfort over long periods of wear. 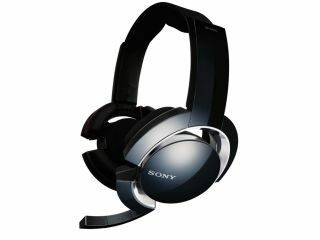 "Sony is launching two very special headsets into the gaming sector," explained the release. "Each has been designed in response to extensive user research that shows what different gamers want from the ideal headset." The DR-GA500 offers a Dolby Pro Logic IIx decoder with Sony Virtual Phones Technology (VPT) to create 7.1ch 3D surround effects, interestingly the signal processing hardware is contained in an external unit. "The result is a soundscape rich in precision spatial detail that pinpoints everything from a stealthy footstep to the position of an exploding grenade," says Sony. "This audio environment is perfect for first person shooter (FPS) games where what you can hear is often as important as what you can see." A UK release date of September has been announced but no official UK price, but expect them to retail for around £55 for the DR-GA200 and £129 for the headlining DR-GA500.